Our Family Tree is Growing! #GivingTuesday may be almost over but the the impact is just beginning! 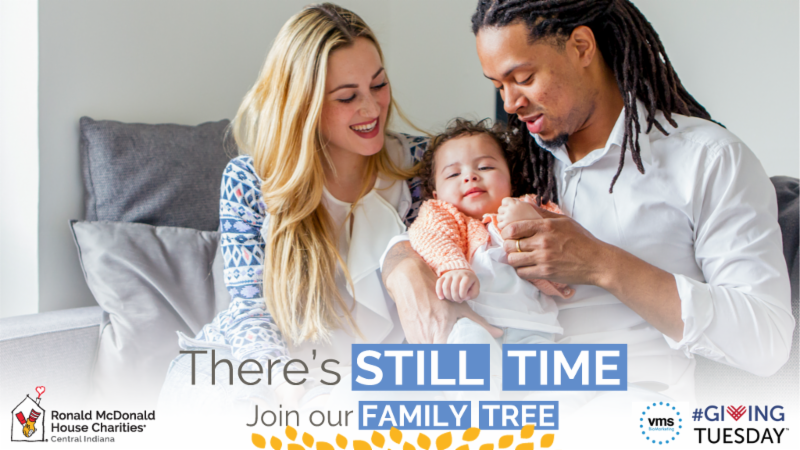 If you haven't joined our Family Tree yet, there's still time! No matter the size, your monthly donation will join with other Family Tree gifts to stock our pantries, provide comfortable accommodations, moments of togetherness and so much more! Your monthly gift helps build a foundation of ongoing and reliable funding, ensuring the families who stay with us have the care, comfort and support they need all year long .